I don't know if I've ever posted this late - but I was so excited about my latest furniture redo, I couldn't wait! I finally finished up the 9 drawer vintage dresser. I really love how it turned out. When I was working on it, there were times that the light was shining on it, and it looked nearly white. 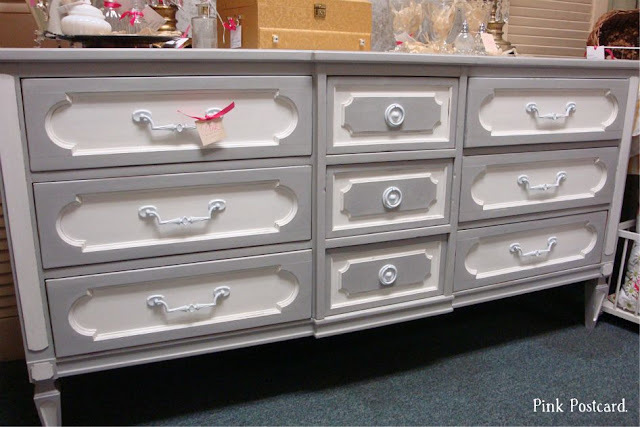 It's Annie Sloan's Paris Gray, with Pure White on the insets. I didn't use any dark wax on this one- only the clear. As we were delivering this to the shop tonight, my eagle eye kiddo spotted what I had missed the entire time I had it. Another Thomasville piece!! I couldn't believe it! The mark is inside one of the drawers. The dove tail joints and other features showed me that this was a quality piece, but somehow that little stamp eluded me. 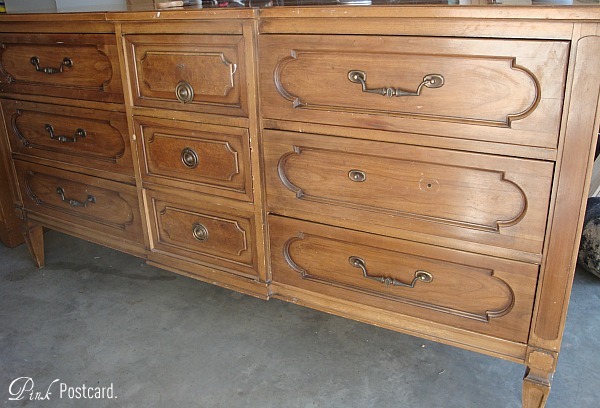 This is a really long dresser- 64"and I think it would be so pretty besides just using it in a bedroom. And the crystal lamps are finally here too! I've been holding them back until they were paired with the dresser. I added a pretty, ruched shade to these. They aren't vintage, but they are stunning, regardless. This was such a fun one to complete. I hope it goes home with someone soon! It's in my space at Aunt Bee's House if you want to see it in person. 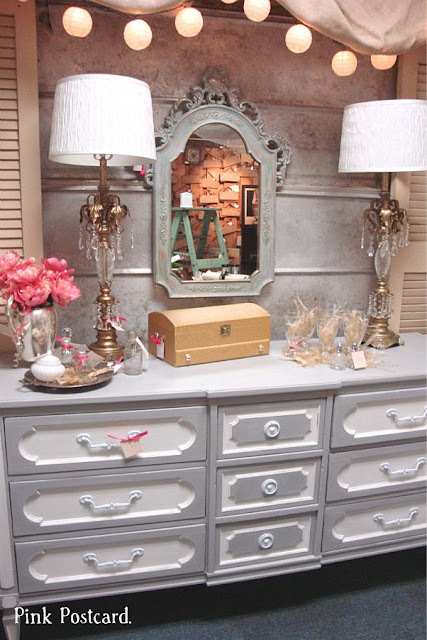 Beautiful makeover on the dresser! 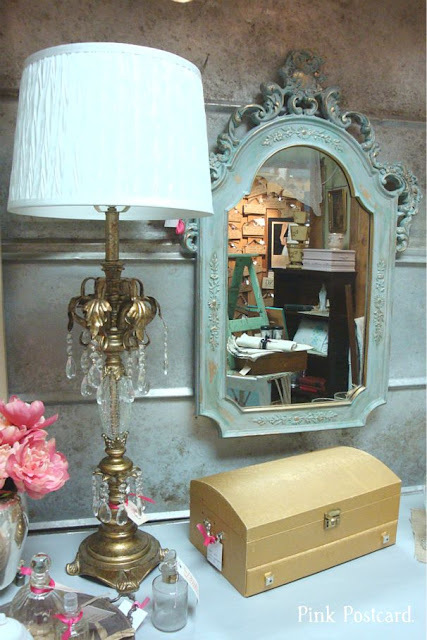 Also love the lamp and mirror! gorgeous! so very pretty :). great job! Beautiful job! I love it. Another gorgeous piece made by you! Love it! It turned out so great - you won't have that one long! Wow Denise! This is just gorgeous! The styling is lovely too! Wasn't it difficult to hold back the lamps? I always struggle with that...setting something fabulous aside for the perfect vignette. Nice job, girlfriend! Just adore this! I have not had your luck with Annie Sloan paint. It did not go on smooth. What did I do wrong? Does the weather affect it? What a vision you have!! I can't say I would have picked it up before...but, I sure would now! You did a fabulous job on the dresser. It looks great, love the colors and how you off-set the gray and white. LOVE, LOVE, LOVE this re-do! Such a great color combination choice!! Great job, Denise! Denise! This is sooo beautiful, better than I could have imagined it would have been. I've been on the edge of my seat waiting for the reveal :o) Someone will purchase it in a heartbeat, I know I would if I lived near your shop at Aunt Bee's. It's all SO PRETTY! 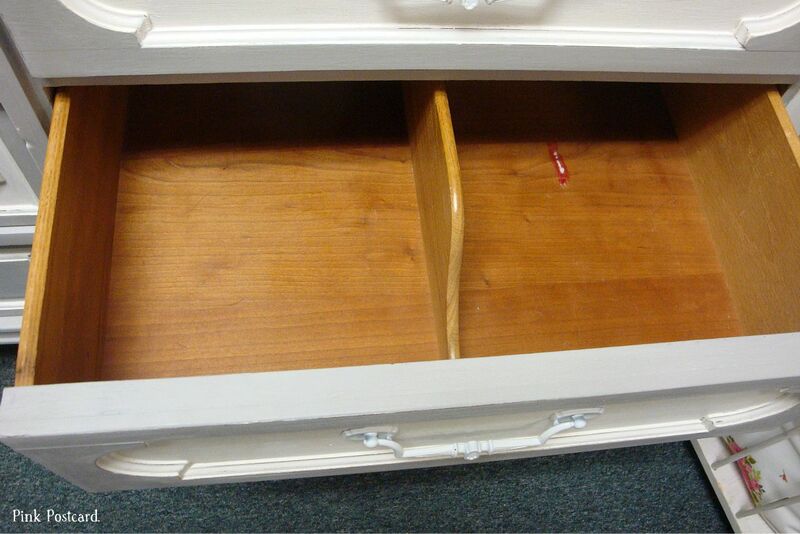 The dresser was a score. I adore those lamps. Jealous! Its gorgeous Denise! I love the lamps with it~perfect! BEAUTIFUL makeover and I love that mirror!! You did such a wonderful job, Denise!!! I really LOVE it! :) Wishing you a lovely weekend! gorgeous, denise! it has a very swedish vibe going on- i love that! This is incredible! I want it! 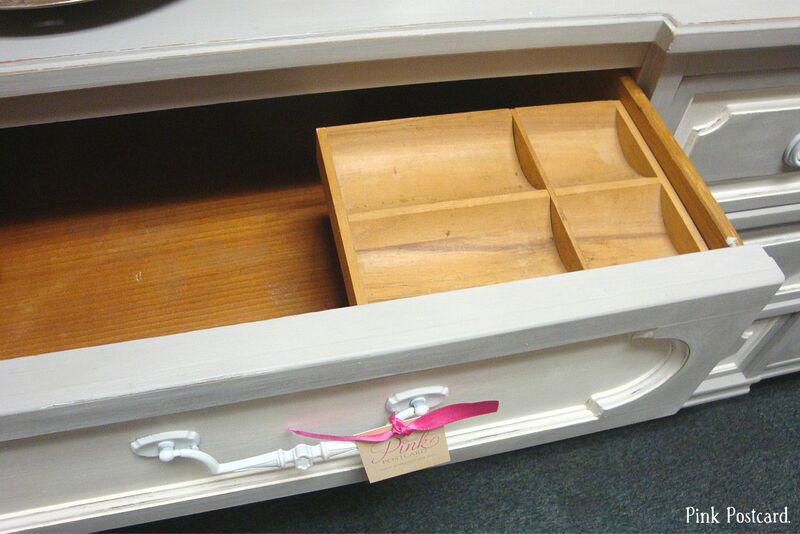 That is a beautiful dresser and one of my favorite color combinations! I really like this... 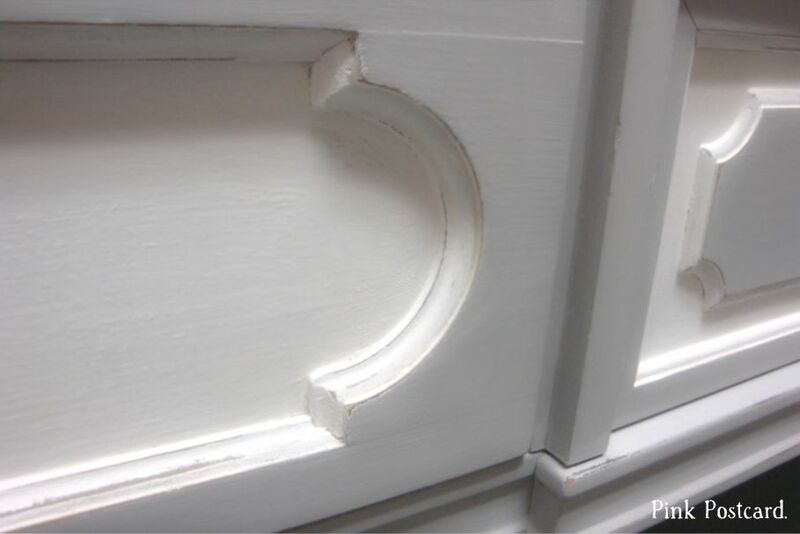 I have a complete French provincial style that was my grandmother that I am going to redo... thus has given me a lot of ideas... great job.